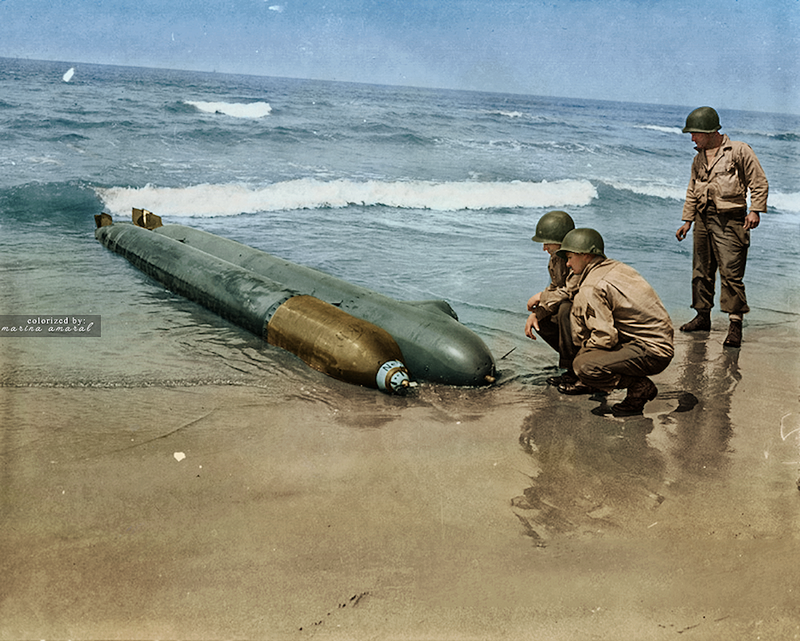 In this photo taken in 1944, colorized by Marina Amaral, US Army troops examine a one-man submarine that washed up on the Anzio beachhead in Italy. According to The National World War II Museum, the submarine was converted from a torpedo, with the warhead chamber replaced with a cockpit. US troops captured the 17-year-old Nazi pilot when the beached unterseeboot, or U-boat, was found in April 1944. Will The Long-Lost Nazi Loot Train Finally Be Unearthed? « Who Invented Air Conditioning?